The barn owl (Tyto alba) is the most widely distributed species of owl, and one of the most widespread of all birds. It is also referred to as the common barn owl, to distinguish it from other species in its family, Tytonidae, which forms one of the two main lineages of living owls, the other being the typical owls (Strigidae). The barn owl is found almost everywhere in the world except polar and desert regions, Asia north of the Himalayas, most of Indonesia and some Pacific islands. The barn owl is nocturnal over most of its range but in Britain and some Pacific islands, it also hunts by day. 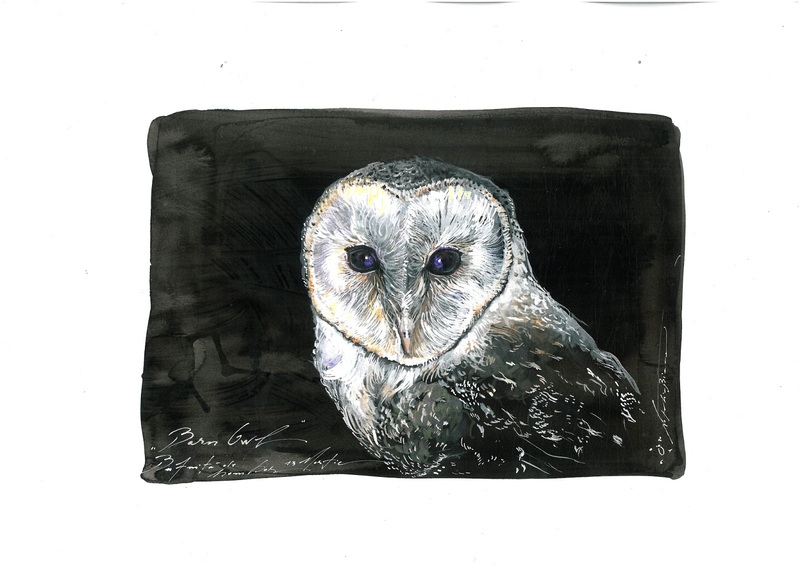 Barn owls specialise in hunting animals on the ground and nearly all of their food consists of small mammals which they locate by sound, their hearing being very acute. They mate for life unless one of the pair gets killed, when a new pair bond may be formed.